In the QuickBooks Financial Report such as Profit & Loss or Balance Sheet report, you will see an “Accrual Basis” printed on the top left corner. Some user may like to remove it. 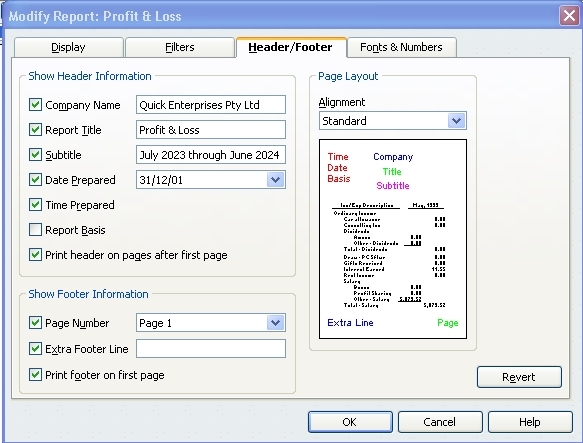 To remove the “Accrual Basis” label from your report header simply clicks the Modify Report button, which located at the top left corner of your report and unchecked the Report Basis checkbox from the Header/Footer tab. 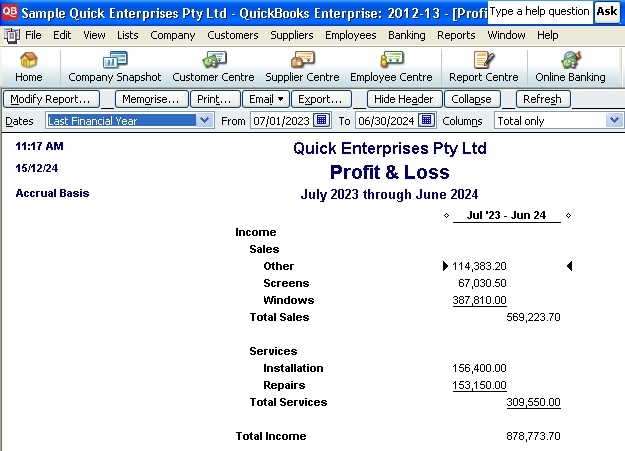 This entry was posted in Accounting, QuickBooks, QuickBooks 2007/08, QuickBooks 2009/10, QuickBooks 2011/12, QuickBooks 2012/13, QuickBooks Asia, QuickBooks Australian version and tagged accounting software, QuickBooks, QuickBooks Asia, QuickBooks reporting, QuickBooks Singapore, Singapore, Small Business Accounting Software, software. Bookmark the permalink.